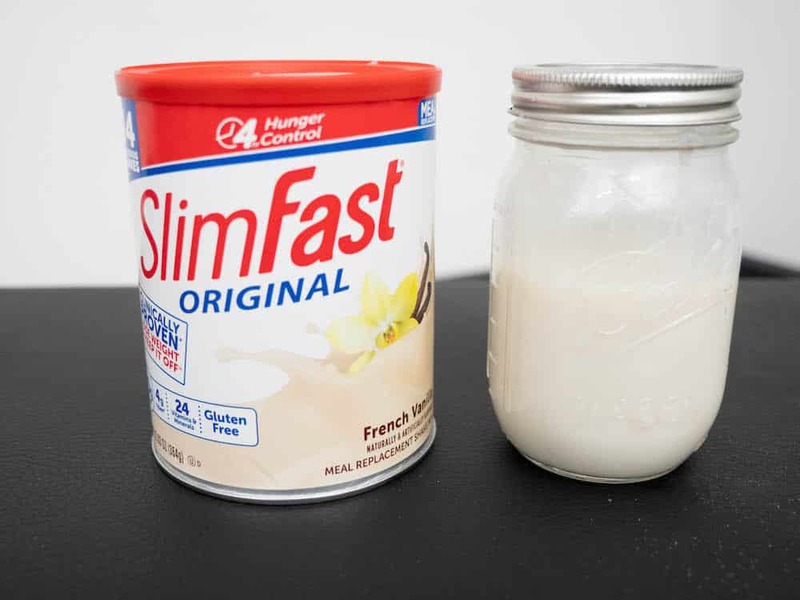 Home » SlimFast Original Shake Mix Review – Great Nutrients But Low in Protein? SlimFast Original Shake Mix Review – Great Nutrients But Low in Protein? 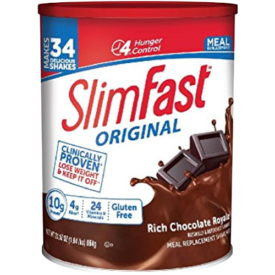 SlimFast is a U.S. company headquartered in Palm Beach Gardens, Florida that was founded all the way back in 1977 and per the name, they’re all about weight loss. 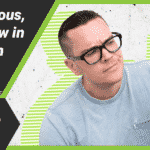 In addition to their famous shakes, the company also makes bars, snacks, packaged meals, and other low-calorie products, many of which launched after the company got a new CEO Chris Tisi in 2014. The jewel in their crown is the SlimFast Original Shake Mix. It’s low calorie, super nutritious, and intended to be mixed with fat free milk. But when you talk about SlimFast products, you have to talk about the bigger picture: The SlimFast Meal Plan. This is their famous weight loss plan that once ran on the phrase “a shake for breakfast, a shake for lunch, then a sensible dinner”, and now the plan can involve replacing two meals and three snacks every day with SlimFast products. So it had better be pretty tasty! Let’s take a look at the nutrition. Super cheap and super tasty, this is a meal replacement that's dense with both micronutrients and flavor. The thing with SlimFast is that it’s strongly recommended you combine the product with 8 ounces of fat free milk. 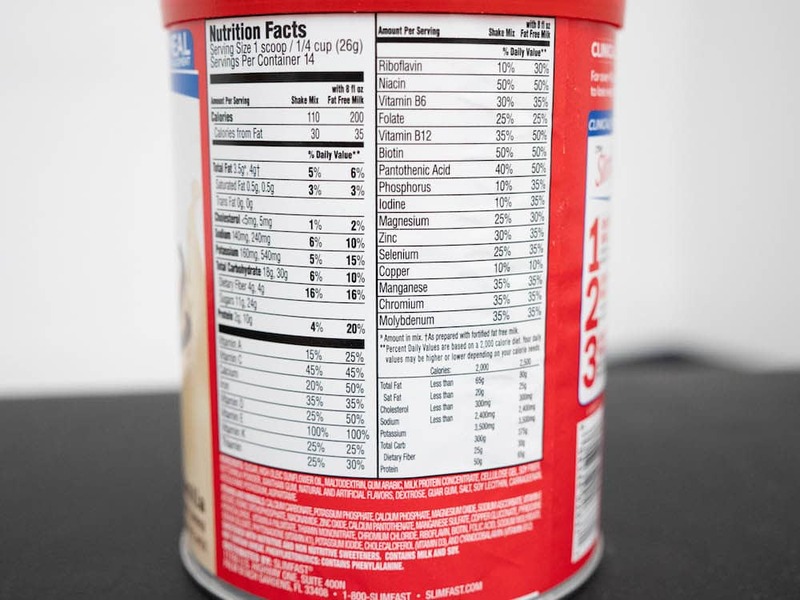 The nutrition label even includes the information for both one scoop in water and one scoop in milk. While keeping in mind that the milk adds calcium, 8 grams of protein, 12 grams of carbs, and a few B-vitamins, let’s look at the nutrition of the powder itself. One scoop provides 110 calories: 2 grams of protein, 18 grams of carbs (4 grams of fiber, 11 grams of sugar), and 3.5 grams of fat (0.5 grams of saturated fat). There’s less than 1 percent of the recommended daily intake of cholesterol and about 6 percent of the RDI of sodium. SlimFast didn’t quite top our list of the best meal replacement shakes — find out who did. With the vitamins and minerals, there’s a very impressive spread here. If you include potassium and sodium, there are 26 vitamins and minerals here, which is higher than a lot of competing products that often leave out nutrients like Vitamin K and chromium, which are present here. The micronutrients vary somewhat in the RDI, but you’re looking at roughly 30 percent for all of them, although there’s 100 percent of your Vitamin A and 45 percent of the Vitamin C. There’s also “just” 10 percent of your phosphorus, iodine, copper, and riboflavin, and 5 percent of your potassium. The ingredients are mostly the vitamins and minerals themselves, but there are a few other ingredients worth noting. The first ingredient is sugar, and it also contains the artificial sweeteners acesulfame potassium and aspartame. The fat comes mostly from high oleic sunflower oil (the second ingredient), there are several kinds of gum (arabic, xanthan, guar, and carrageenan), plus there’s soy lecithin for mixability. The rest of the ingredients are just some soy fiber, natural and artificial flavors, salt, dextrose, and milk protein concentrate, and cellulose gel. The vitamins and minerals are great. If you’re substituting meals, this probably has a broader spectrum of micronutrients than anything you’d manage to cook up in your kitchen. This is really important to emphasize because we’re talking about a meal replacement here — the vitamins and minerals are the most important component, and SlimFast passes this test with flying colors. But what separates a meal replacement from a multivitamin is the calories and macronutrients. They’re meant to deliver all your nutrients alongside a good amount of protein, carbs, fat, and calories. So where does SlimFast fall there? I confess I wasn’t too impressed by the macros. There’s 110 calories and just 2 grams of protein, which is extremely low, particularly if you’re trying to follow a high protein diet which is a common weight loss strategy. Now, when you mix this with milk it bumps you up to 10 grams of protein and 30 grams of carbs, which is 20 and 10 percent of the RDI of those macros. On paper that looks good, but again, this won’t be all that useful for folks trying to follow a high protein diet. But if you’re not — and it’s totally fine if you’re not — these macros will suit you just fine. The ingredients could cause concern for some people. It’s extremely rare for a meal replacement to have sugar as the first ingredient, let alone for it to have sugar as the first ingredient and for it to include artificial sweeteners. 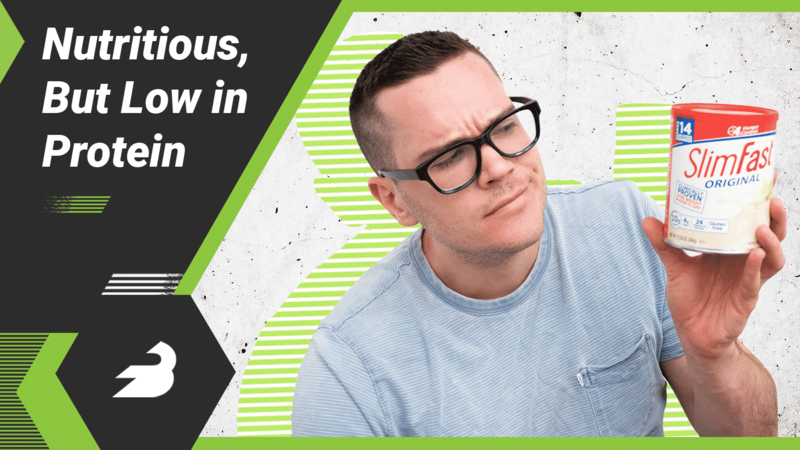 Plus, the sweeteners are acesulfame potassium and aspartame, which are a little more controversial than the more common sucralose (Splenda®). We’re not saying artificial sweeteners are bad for you, just that you should know about it in case they are something you try to avoid. Finally, there’s also soy and a lot of kinds of gum in this, which are also controversial in some circles. Again, we’re not saying they’re bad, just that some people aren’t crazy about them. These only come in one size, 12.8 ounces, which each contain 14 servings for $16. That’s about $1.14 per serving, which is very inexpensive. The average meal replacement is about twice that cost. We grabbed the French Vanilla flavor, which really does taste like melted down vanilla ice cream when it’s mixed with fat free milk. For something with sugar as the first ingredient, it wasn’t surprising that the taste was a real standout quality. The main downsides you may have with this product are the low protein content and the sugar. But it’s crazy cheap, delicious, and jam packed with a ton of nutrients. 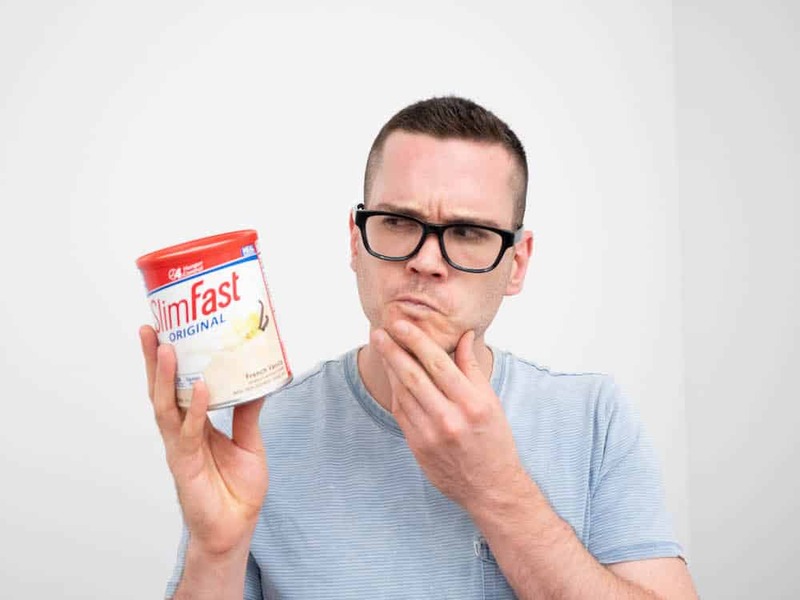 Especially given the price, you could do a lot worse than SlimFast as a source of micronutrients — but it’s very low calorie, so just make sure you consume enough calories throughout the rest of the day.